A close friend of mine once ask, when I cook with ingredients that are not ‘everyday ingredients’, and what do I do with the left overs in the package? That’s when meal planning comes to play. I plan my menu weekly, so I only need to go to the supermarket once a week, and have a list of what to buy for that week. 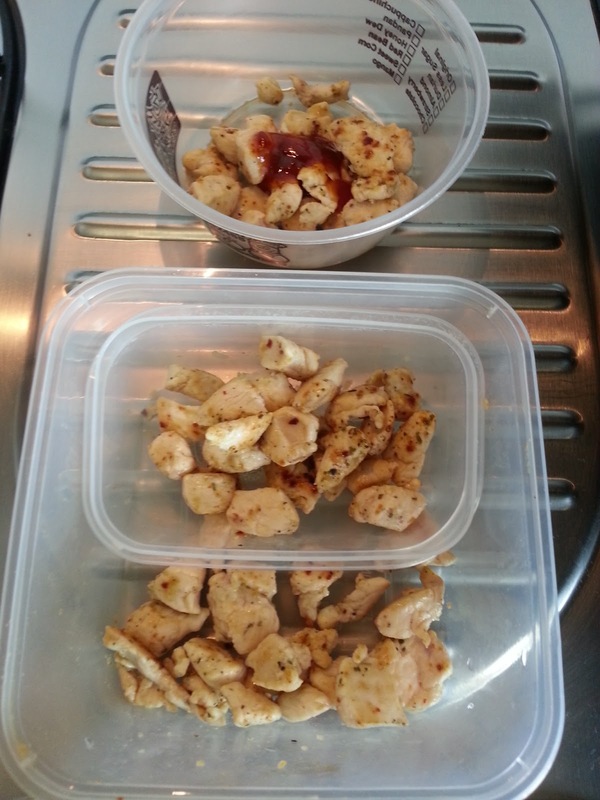 It allows me to minimize wastage of fresh produce when I plan my meals. This meal is one of those that helps me clear ‘leftovers’. 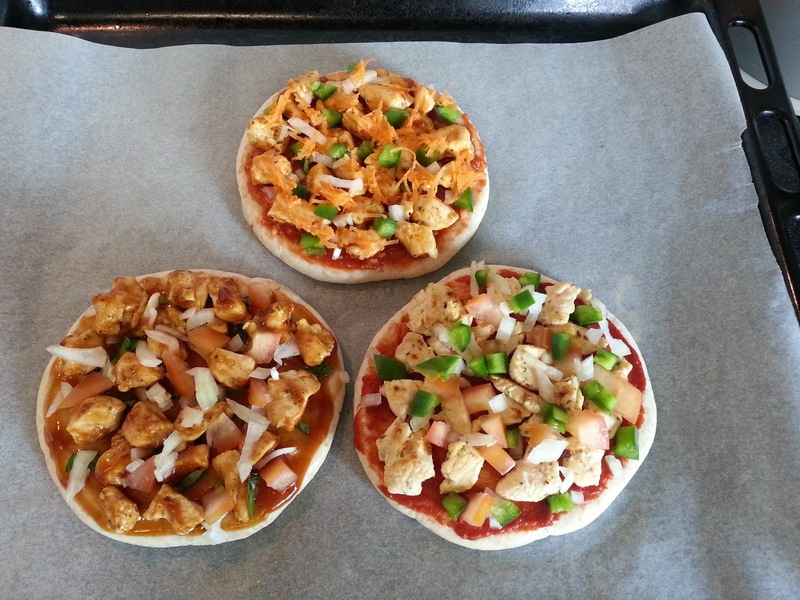 Remember I used 2 pitas for my Chicken Tandoori Pita? Well, I have 3 left to make this. 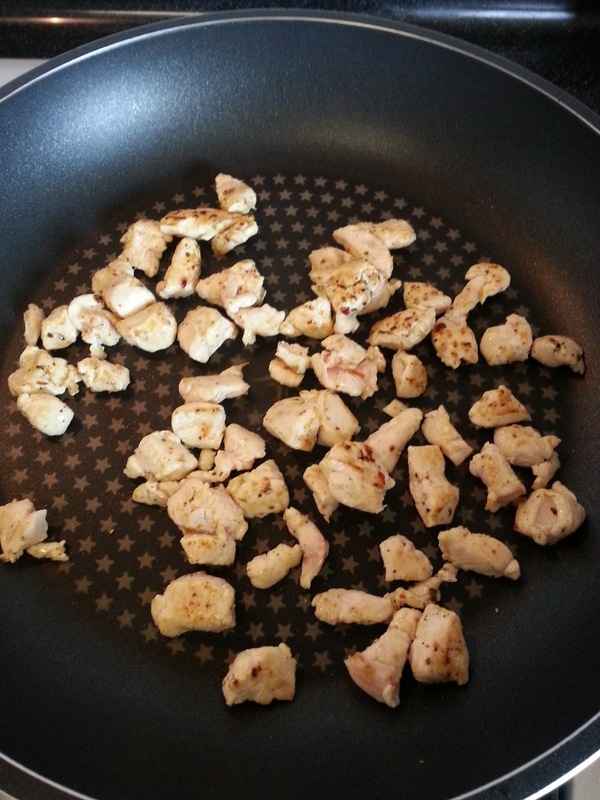 Season the diced chicken with salt and pepper. 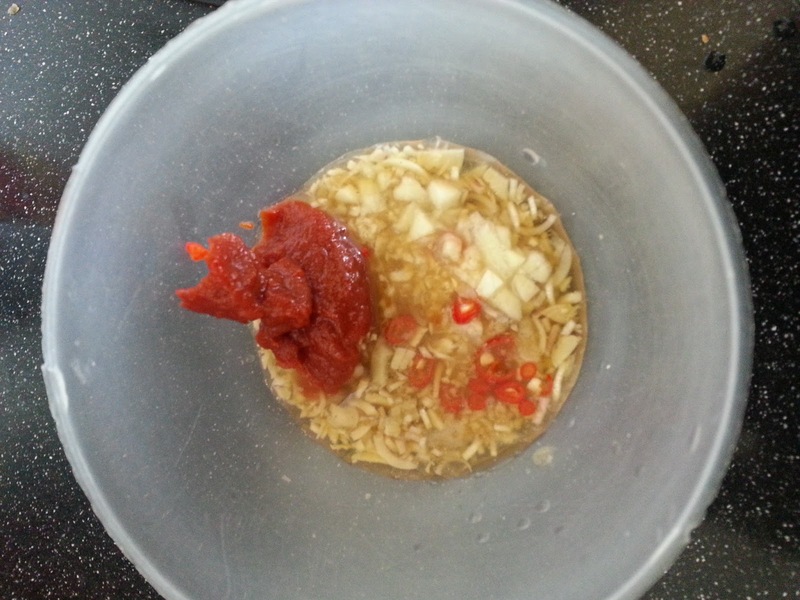 Prepare your tom yum sauce mix. 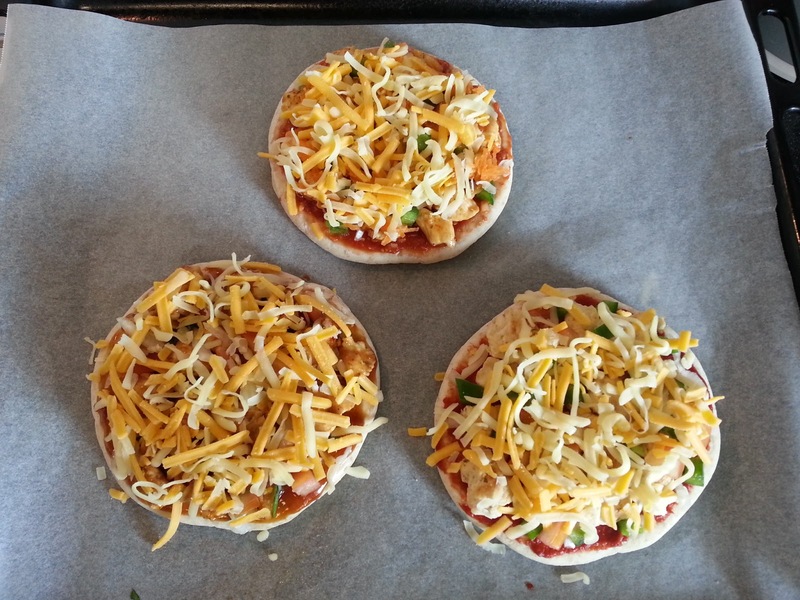 Add the ingredients marked * together, using 1 tsp of tomato paste to hold them all together. 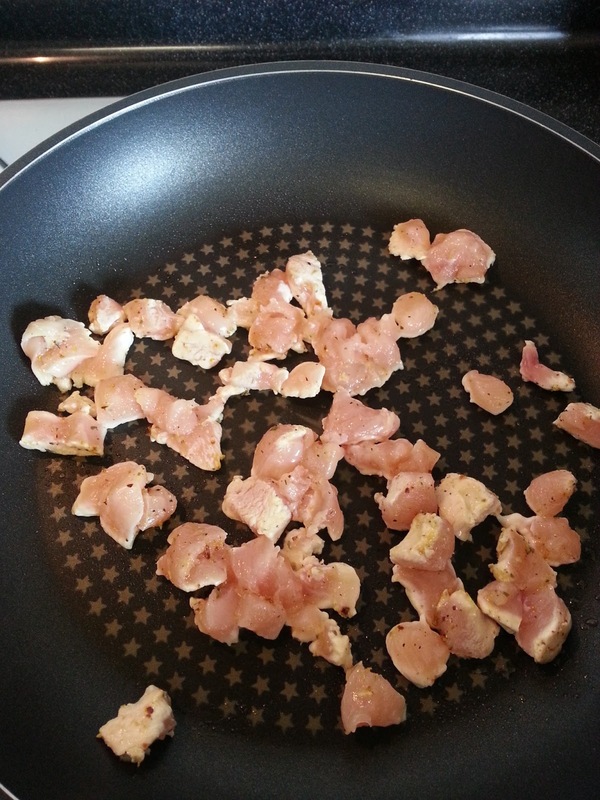 Pan fry the chicken to give it a little colour. Use medium high heat to brown the chicken. I like to take them off the heat just shy of being completely cooked as it will be cooking again in the oven, and I didn’t want them to be dry. Separate them into 3 portions. 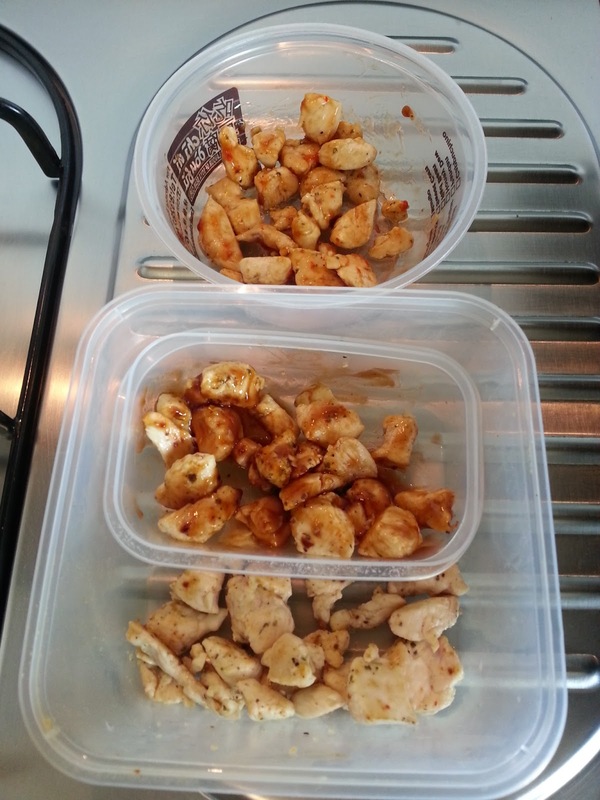 Add 1 tsp of sweet chili in one, and 1 tsp of bbq sauce in the other. Coat well. Now is the best time to get the kids involved! 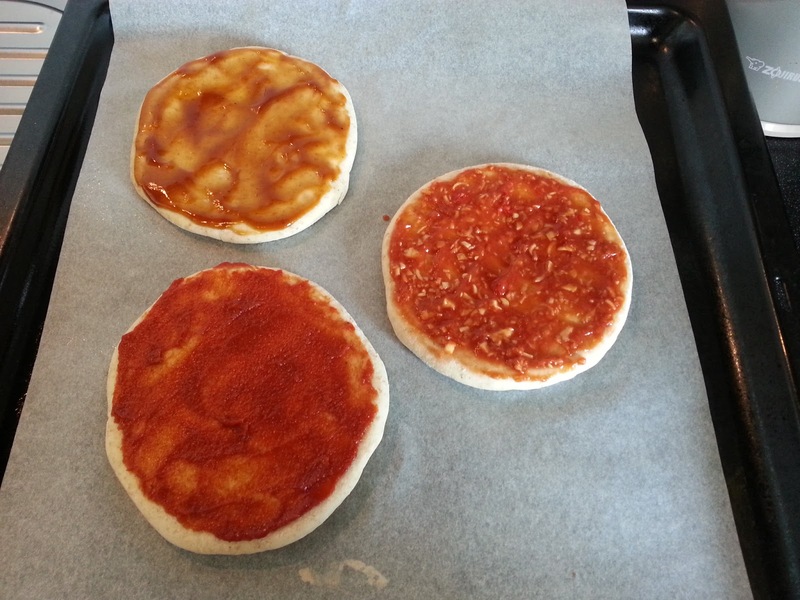 Using the back of a spoon, spread the sauces on each pita bread respectively. 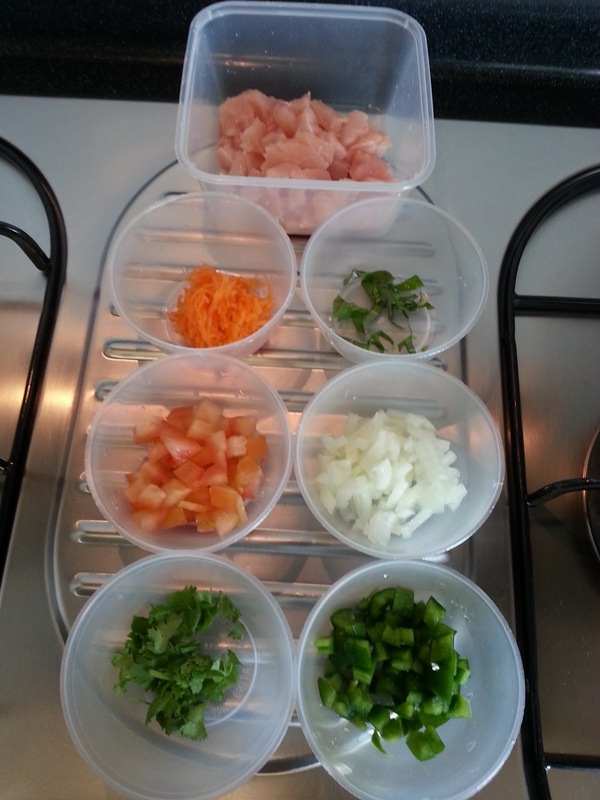 I had some leftovers of the toppings… which I used to make omelette the next morning! Topped with cheese and it is good to go in the oven for 15-20 minutes, depending on how brown you like your cheese to be. 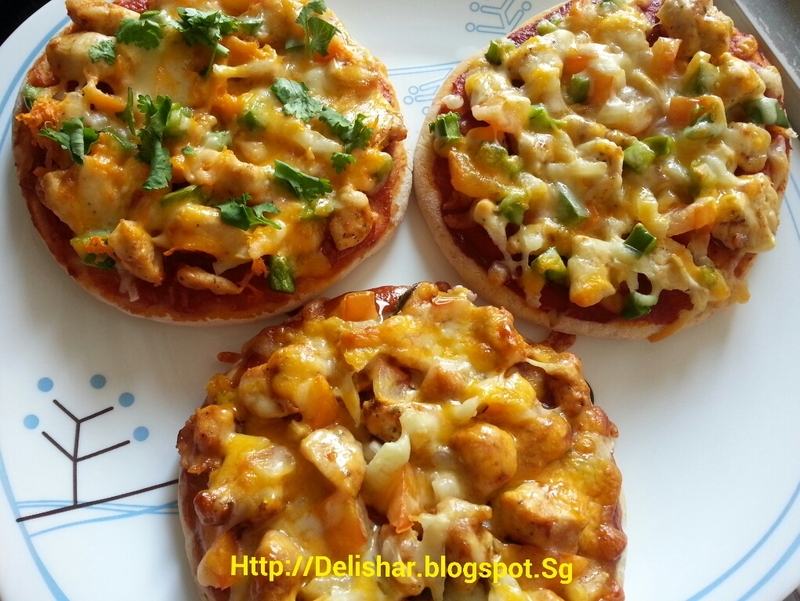 Garnish the tom yum pita pizza with chopped parsley and it’s yummy time! You can make the tom yum paste kid friendly by omitting the chili padi and use season chicken instead. 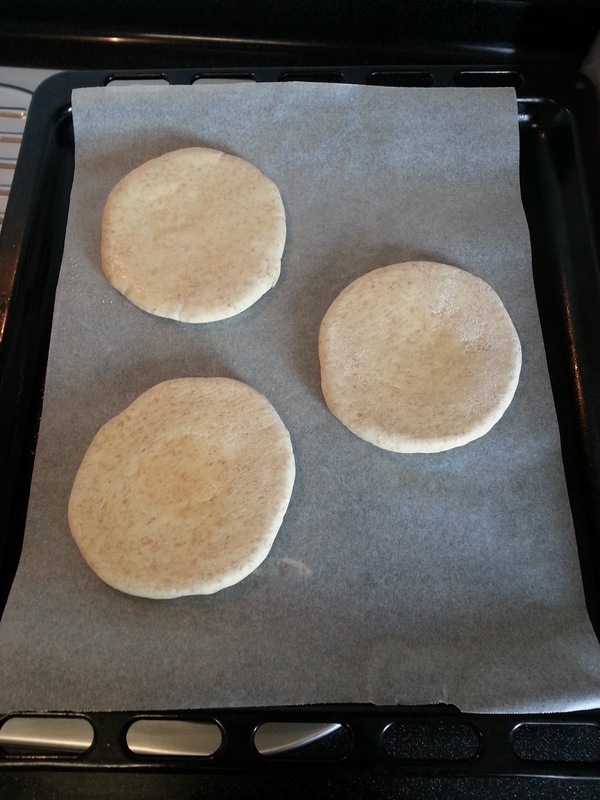 I hope you like this recipe as much as we did!